"Married at First Sight moves to Wednesdays for a new season, with four new couples," Lifetime revealed in a commercial that aired during the show's Season 8 "Decision Day" broadcast on Tuesday evening. In addition to the network announcing Married at First Sight will no longer be airing on Tuesday nights and will once again feature four couples, Lifetime also disclosed Season 9 will premiere in June 2019. The show's eighth season marked the first time the network decided to star four couples instead of three. Married at First Sight typically changes its filming location each season, and previous editions have filmed in cities including Atlanta, GA; Miami, FL; Chicago, IL; and Boston, MA. The most recent edition was filmed in Philadelphia, PA. Season 9 of Married at First Sight will likely be based in Charlotte, NC, as Lifetime announced in October 2018 cameras would be rolling in that city and potential cast members had to be available for interviews in early February and late March 2019. An image was posted on the show's Facebook casting page in October of last year that read, "Single and brave? Appear between 26 to 40? Live in the Charlotte area? Exhausted all dating options? Ready to find the love of your life? We want to hear from you!" Married at First Sight features experts matching up pairs of strangers based on their compatibility, goals, hobbies, religion, views of marriage, and more. 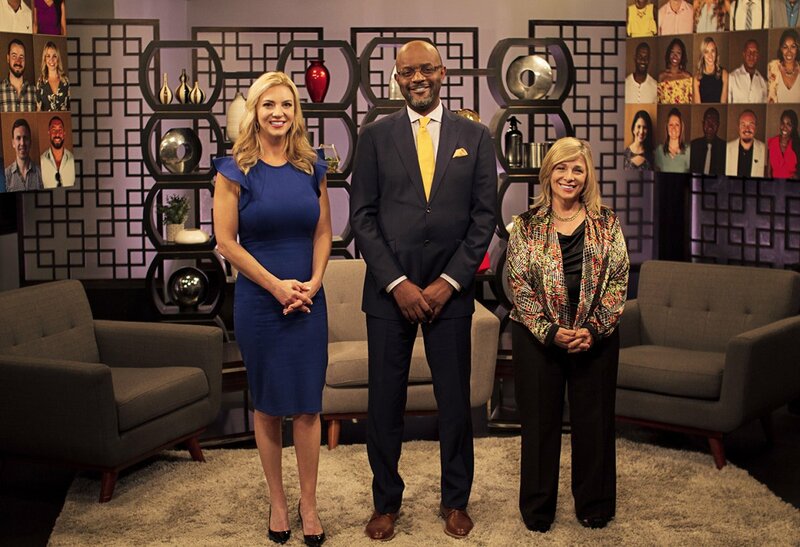 Last season's experts were sociologist Dr. Pepper, psychologist and professor Dr. Jessica, and marriage counselor Pastor Calvin Roberson. After meeting for the first time on their big day, each couple gets married and the next six to eight weeks of their lives are documented -- beginning with their wedding ceremony, reception and honeymoon, and continuing with the joys and struggles of daily life as they move in together and adjust to their new life as a married couple. Married at First Sight's eighth season just wrapped with "Decision Day" on which each couple, having reached the end of the seven-week experiment, had to decide whether to remain married or divorce. Two of Season 8's participating couples -- Jasmine McGriff and Will Guess as well as Kate Sisk and Luke Cuccurullo -- chose to split, but the other two couples -- Kristine Killingsworth and Keith Dewar as well as AJ Vollmoeller and Stephanie Sersen -- opted to remain married. The Season 8 reunion special for Married at First Sight is set to air next week on Tuesday, April 9 on Lifetime and feature updates on the current status of each relationship.